Every marketing plan is built around very specific objectives that a business intends to accomplish. The tools that go into a marketing plan, therefore, depend directly on these goals. But what if there was a tool that was not a use-and-throw razor blade, but a veritable Swiss army knife? 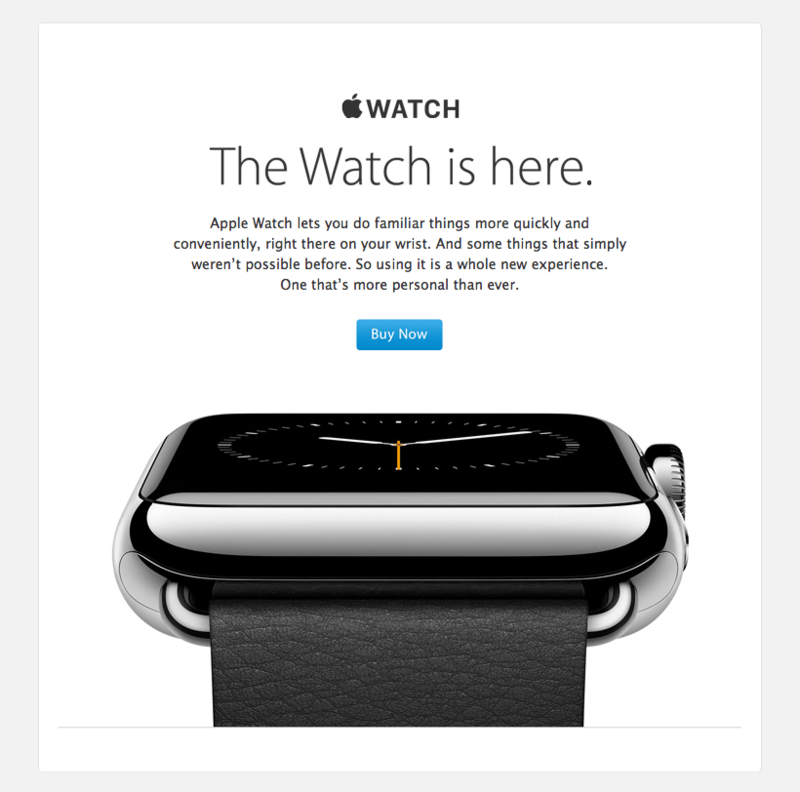 Meet email marketing. A cost-effective, easy to implement, and versatile tool that makes most other marketing tools look one-dimensional. I mentioned “versatile” here, but just how versatile, you ask? Take a look. Email marketing is superb at building awareness about a product, service, brand, event, or business. By delivering emails straight to the user’s inbox, the spillage involved in most other awareness generation methods like television is avoided. Also, even if the recipient does not open your email, you can still convey a world of information with just a creative subject line. Email has the unique ability not just to inform a reader and convince them of the benefits of the proposition discussed, but also encourage them to take action immediately. Think of emails that say, “Last day today. Buy now!” Without fail, each one of them has a Buy button that takes the user to the business’ website and leads (hopefully) to a sale. Now, how many TV ads can offer that? Once a potential customer has moved on to being a regular customer, the time is ripe to cross sell them an item related to their original purchase. Figure out the personal usage habits of your buyers, and send out upsell emails around the time the original item needs to be replenished. By employing email for these purposes, you’re enlarging your repeat user base at zero cost. Calling a client to remind them of an upcoming appointment or event can be perceived as intrusive and rude. Take the more elegant way out of the situation by sending a gentle nudge via an email. You can even ask users to confirm their attendance by clicking on a URL. Not only do such reminders help push repeat business, they also help you plan your inventory and time based on your users’ needs. Since an email is, for all practical purposes, what a letter was just two decades ago, fall back on it when you want to send out order confirmation when a purchase is made. By offering your users detailed information about their latest purchase and following it up with a chance to track deliveries, you get closer to the user. The more useful your emails become to the user, the greater your chances of repeat purchases. Emails can be very easily used to collect users’ reviews about your product or service, which in turn helps you reach out to brand new buyers more effectively. Tools such as 123ContactForm and SurveyMonkey allow you to build detailed surveys from scratch and embed them inside emails in an instant. 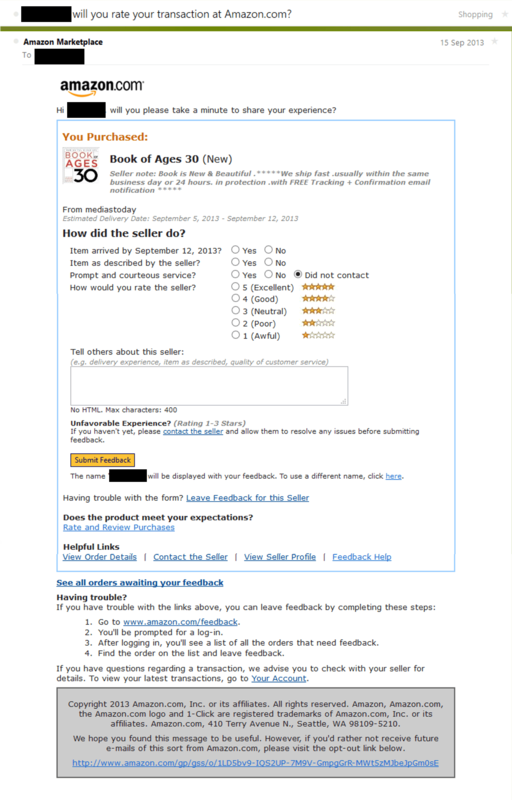 Amazon uses its own built-in survey tool in the example above. Instead of making the user go to their website and rate the product, this one-step review email makes users’ lives easier and increases the probability of them leaving behind a review. 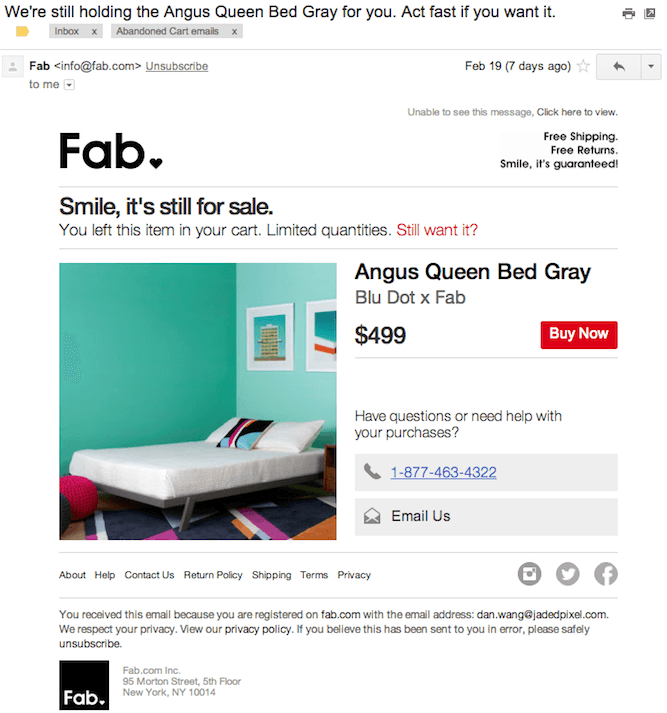 A more generally targeted extension of reviews within emails are surveys and polls. Not all market research comes at the cost of thousands of dollars. A simple email template that contains an embedded user behavior survey in it is a great way to save a few dollars and reach out to an audience that knows your products the best. 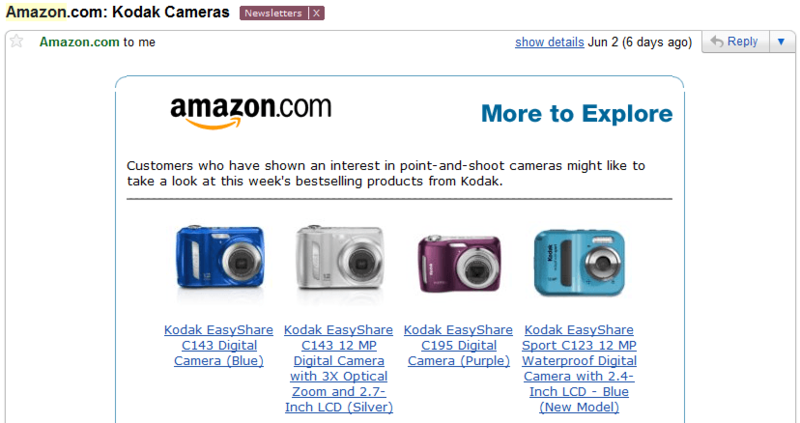 Share important information about the product and its workings via email campaigns. 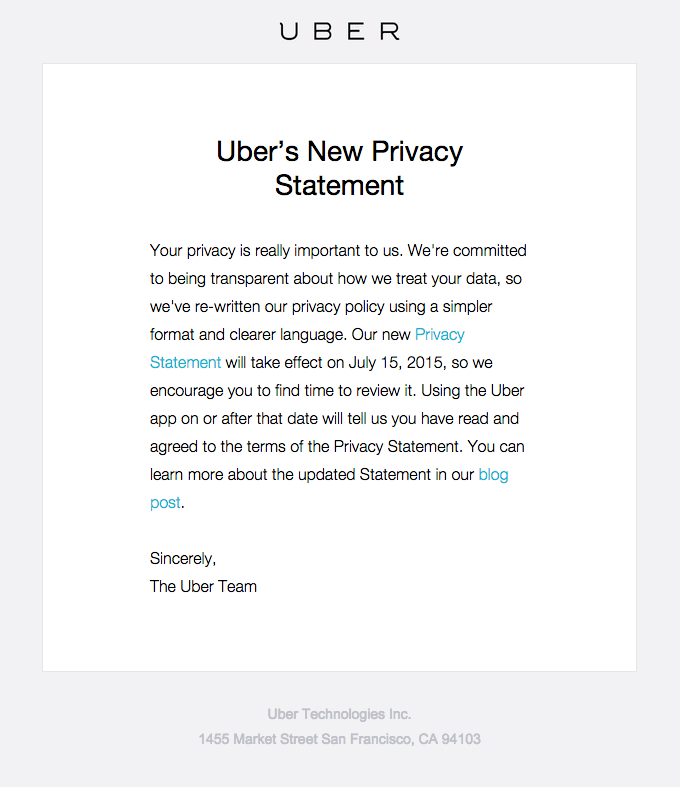 Email makes this sharing quick, cost-free, and permanent. Did you just create a new social media presence for your business on a new platform? Say, Snapchat? Grow your followers’ list from zero to a few thousands in just one simple step: Send an email to all existing email subscribers asking them to follow you on the new platform. Sweeten the deal with a small goodie, if you like. What better way to introduce a new product or service into the market than reaching out to existing users about it? An email means that at near-zero costs, you get to generate curiosity, drive traffic to your new launch page, and encourage trials, all in one go. You must have read about the importance of engaging with your regular users face to face to build their loyalty towards your business. 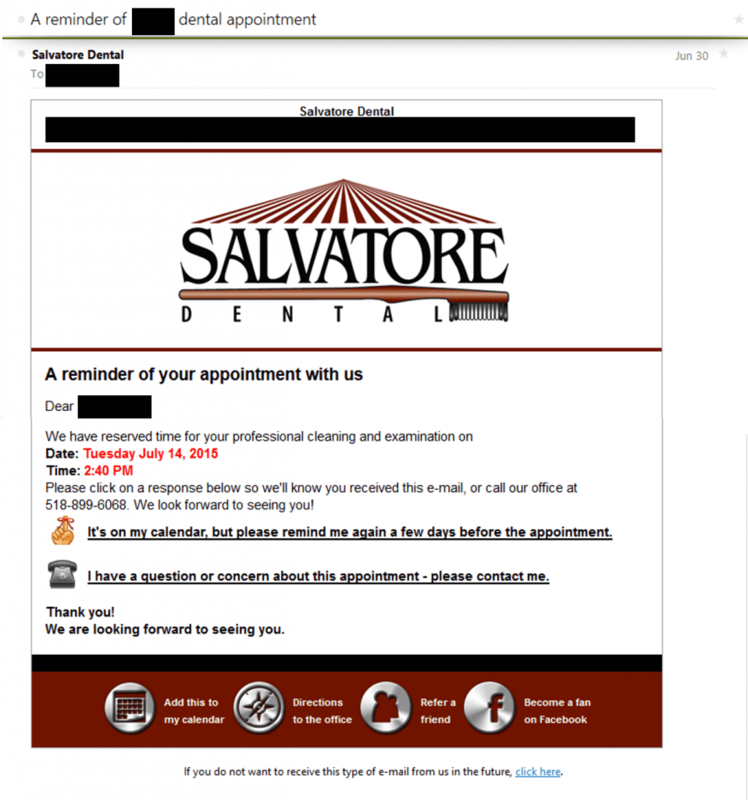 Invite your users to attend your next tailor-made event using email. Not only do you save a pretty penny on RSVPs, your invite stays in your user’s inbox forever as a reminder of your friendly overtures. Studies show that nearly 70% of all users who begin shopping on your website will go on to abandon their purchase midway. A proven way of winning back abandoned shopping carts is by setting up triggered emails or auto-responders with email marketing software like GetResponse, which shoot out an email to the user’s inbox within hours of a case of cart abandonment. Emails are also used extensively by businesses as well as non-profits to raise funds for upcoming projects. Whether it is a KickStarter fund for a new product you’re developing or asking for donations to a worthy cause, or even offering your subscribers tax breaks in return for their contributions to a charitable cause, email dons each of those hats with ease. An embedded payment widget inside the email makes the process of fund raising even more seamless. Customer care on the phone can be alternately frustrating, expensive, and fruitless for the average customer. On the other hand, an email to customer care usually has a much better satisfaction rate thanks to various factors. Emails allow users to detail out their problems, unlike phone calls to customer care, where they are limited by pre-defined options on the answering service. Besides allowing detailed reports, email also removes the expectation of an immediate response from the users’ mind. This means your customer care teams have some breathing room to respond, and your users don’t get annoyed waiting to be served on an endless customer care call. 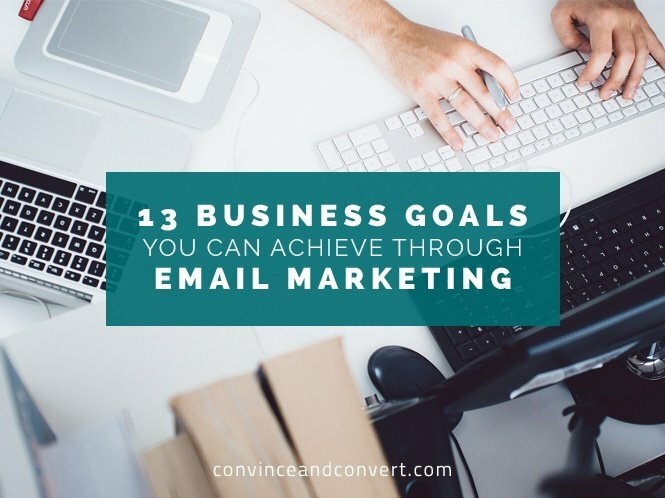 There are many more goals that you can potentially address through your email marketing, including getting customer referrals, encouraging repeat purchases, holiday specials, etc. However, the most important goal that a well-designed email marketing program achieves is building a relationship of trust and mutual warmth with your users. Everything else follows from there.